In honor of American Heart Month, AHA and OH launch new initiative to improve heart health outcomes. Call Bob on 07961 202 259 Services You're able to utilise our writing services-whether for business or individual purposes. Health insurer Anthem Inc. said it expected to break even or make a small profit in the Obamacare individual market in 2017 even as it considers pulling out of that business in 2018. Abbott announced U.S. Food and Drug Administration approval for magnetic resonance (MR)-conditional labeling for both the Assurity MRI pacemaker and the Tendril MRI pacing lead. Patients implanted with these low-voltage devices will have the ability to undergo full body magnetic resonance imaging (MRI) scans, if required. With the approval, the Assurity MRI pacemaker is now the world’s smallest, longest-lasting wireless MRI-compatible pacemaker. Lilly has closed off another avenue for solanezumab, its once-promising experimental therapy for Alzheimer’s disease, after scrapping another Phase III study. 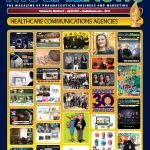 Med Ad News is introducing an exciting opportunity for agency creatives to celebrate their craft like never before at the 2017 Manny Awards, celebrating the best in healthcare advertising. During a meeting with President Donald Trump, Amgen CEO Robert Bradway told the president the company will be hiring 1,600 people across the United States in 2017. Roche said competition and spending on new drugs would likely stall its margin growth in 2017 as the Swiss drugmaker grapples with patent expirations of some blockbuster medicines. Shares of Dimension Therapeutics plunged more than 60 percent after the company revealed interim data results from its Phase I/II hemophilia B study that showed questionable safety issues regarding its therapy. Japan’s largest drugmaker, Takeda Pharmaceutical Co., said it would maintain its pricing model in the U.S. market, brushing off demands by U.S. President Donald Trump for drugmakers to offer cheaper drugs.